Once again, we will be participating in the annual Mt. 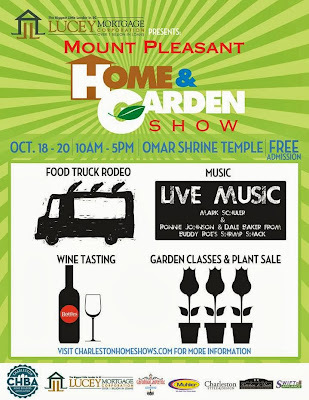 Pleasant Home & Garden Show at the Omar Shrine Temple near Patriots Point. This Friday, Saturday, and Sunday from 10-5 stop by to visit the Structures booth and meet some of our team! Admission is FREE. And if having the chance to check out all the latest trends in home building, landscaping, and remodeling weren’t enough – Saturday and Sunday there will be a food truck rodeo, live music, and wine tasting! Don’t miss this great community event brought to you by the Charleston Home Builder’s Associate and Lucey Mortgage Corporation.